The primary purpose of the Safety Specialist is to develop a comprehensive citywide safety/loss control program and safety-training program. Integral to this role is to administer training and provide technical assistance with the goals of minimizing and controlling serious accident and injury claims, to ensure the well-being of employees, and to prevent future losses. The incumbent is responsible for development of course content, training scheduling, facilitation and documentation, field inspections, (routine, special and site consultations), work site accident investigation, assistance with safety equipment procurement, and compliance monitoring. The incumbent works with departmental administrative staff, division supervisors, field staff, state safety officials, and others associated with City projects. This position serves all internal and external customers by providing high quality care with courtesy and compassion; demonstrates accountability for own actions and decisions; develops policies, procedures, and standards; assumes responsibility for risk and safety issues associated with position; holds others accountable for following City and Departmental Safety Policies and Procedures; participates in performance improvement activities; takes responsibility for own learning and development needs; participates as a member of a team to achieve organizational and department goals; brings ideas/concerns to City Administration. This position will plan, schedule, and conduct a full range of inspections in establishments and worksites where there is a probability of encountering hazardous work processes and materials, and unsafe environmental conditions from minor to serious in severity. Prepare for inspections by conducting file and record reviews, including case files or previous inspections to become familiar with work processes, operations, and standards applicable to the workplace to be inspected. Conducts investigation of accidents which may involve injuries, serious accidents, fatalities, or other unsafe conditions. Conduct workplace analyses and reviews establishments' safety and health programs to determine the hazardous conditions that may have contributed to the injury or illness. Assists in the conduct of special studies and the preparation of reports of findings and conclusions. The City of Manhattan offers a full range of municipal services to a community of about 56,000 persons, except law enforcement, which operates as a consolidated City/County entity. The City employs approximately 380 full-time employees, 18 part-time employees, with over 700 temporary/seasonal employees principally during the summer months. 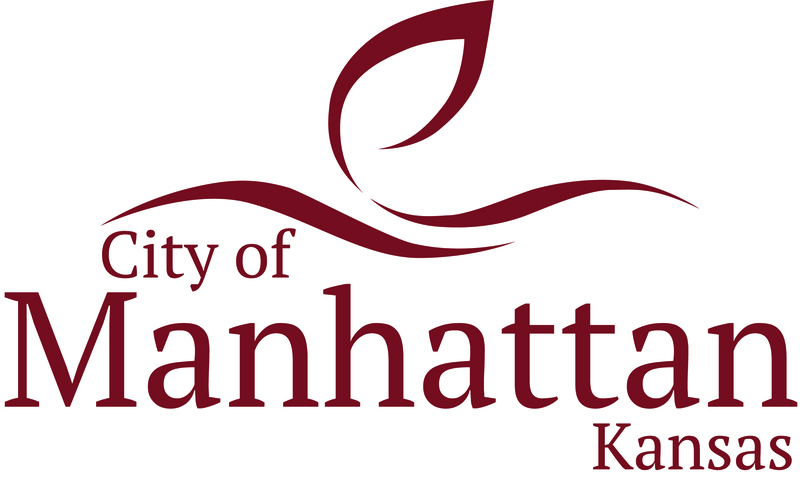 Manhattan is the home of Kansas State University, one of the largest in the State and the oldest land grant university west of the Mississippi river. The University exerts a strong influence on the City, which is felt in such areas as equal opportunity in employment and housing. Provide overall management of the citywide safety program. Advise City Administration on safety and health related issues and concerns to ensure timeliness and resolution of pertinent issues. Research, develop and implement safety programs in areas such as accident investigation and prevention, motor vehicle safety, confined space, etc. Ensure the City’s full compliance with Federal ADA and OSHA, plus State of Kansas Department of Labor (KDOL) mandated programs. Develop and continually review safety policies, write procedures and disseminate information. Provide technical expertise in designing programs and/or analysis and make recommendations to management on a variety of safety and/or health issues, programs, topics and enforcement concerns including current or proposed regulations and their potential impact upon operations and the public. Investigate incidents and accidents, respond to accident locations, take photos, prepare sketches and notes and conduct post interviews. Oversee the development, implementation, and delivery of a variety of training programs and events to include safety and professional topics. Produce a citywide training schedule to ensure safety training compliance. Develop annual training goals; create an effective monthly employee-training program which meets OSHA and Kansas Department of Labor (KDOL) mandated requirements for each department. Coordinate arrangements for instructors and maintain a multi-media safety and healthtraining library. Assist in coordinating articles for newsletters, safety and health bulletins and awareness campaigns. Audit accident and injury reports and verify that corrective action is taken to eliminate unsafe operations. Audit physical facilities and conduct Mock OSHA – type inspections. Provide a written report of findings of Mock OSHA inspections and recommendations for management’s review. Coordinate attendance with each department for employee safety training; maintain recordkeeping and filing of safety records. Perform worksite and equipment inspections; collect and maintain appropriate accident and injury records, regulatory documentation; conduct worksite interviews and safety discussions; collect data analysis to identify trends; complete job hazard analysis reports as well as accident or incident investigations and follow-up reports; perform hazard assessments; conduct defensive driving evaluations. Coordinate with other City departments, personnel and outside agencies, where necessary. Serve as chair of the citywide Safety Committee and assist with other department level Safety and Health Committees. Serve on special committees or projects. Establish policies and procedures, safety handbook, and other related documents to strive for “best-in-class” according to the City’s outside loss control specialists in meeting goals outlined in the Safety Program Risk and Analysis. Assist in ongoing goal setting activities for the city-wide Safety Program. Establish an ongoing system to review and analyze results of the citywide Safety Program. Position requires working outside of regular hours, including evenings and weekends, in the event of emergencies or disasters. Extensive knowledge of health and safety issues as they may affect the many and varied municipal work venues and activities. Excellent administrative, communication, and interpersonal skills in serving external and internal customers along with the ability to effectively solve problems are essential. Must have the ability to analyze situations within policy and regulatory frameworks, accomplish tasks in a timely manner, organize and prioritize work to meet required deadlines. Experience with personal computers, spreadsheets, and related software, and other technological applications is required to effectively complete a variety of administrative tasks with reasonable speed and accuracy. Thorough knowledge of occupational safety theory and techniques. Thorough knowledge of Federal, OSHA, Kansas Department of Labor (KDOL) and local regulations as they pertain to the principles, practices, trends and methods related to occupational health and safety. Thorough knowledge of current and accepted safety practices and principles as they relate to municipal government. Ability to develop and administer sound programs in the area of safety/loss control techniques. Ability to present factual material in written, graphic and oral form. Ability to traverse uneven terrain, climb steps or ladders, and tolerate airborne environmental nuisances associated with construction sites, and urban exhaust. Ability to develop and maintain effective working relationships with associates, employees of other departments, representatives of outside agencies and the public. Ability to conduct safety-related training programs. Ability to communicate clearly and effectively, orally, in writing, and/or by whatever creative means are necessary to cross communication barriers. Ability to acquire and maintain a valid Kansas driver’s license. EDUCATION AND EXPERIENCE: Requires a bachelor’s degree in occupational safety or health, safety engineering, industrial hygiene, safety management or a closely related field, or any equivalent combination of education and experience. In addition, two to five years of progressively responsible experience in safety and health or possession of certification from a nationally recognized safety association or board is preferred. Instructor certification in educational classes such as First Aid, CPR, and Defensive Driving are also desired.